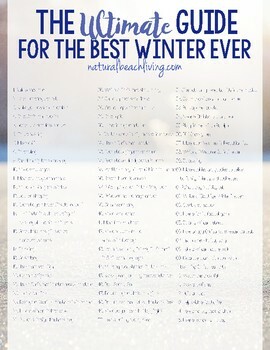 Let’s make this the best winter ever. I am determined to make it easy for all of us to find fun things to do and make awesome memories too. It won’t take much effort, the real key is being organized which makes this free printable priceless. Hang it on your fridge or stick it in your planner for easy access. You’ll always have something fun to do as a family.